The Wave Project in Devon has won an award for its work towards Contribution to Inclusive Sport through surfing. The Wave Project was shortlisted for public vote alongside organisations in a further eight categories at the annual Devon Sports Awards gala. 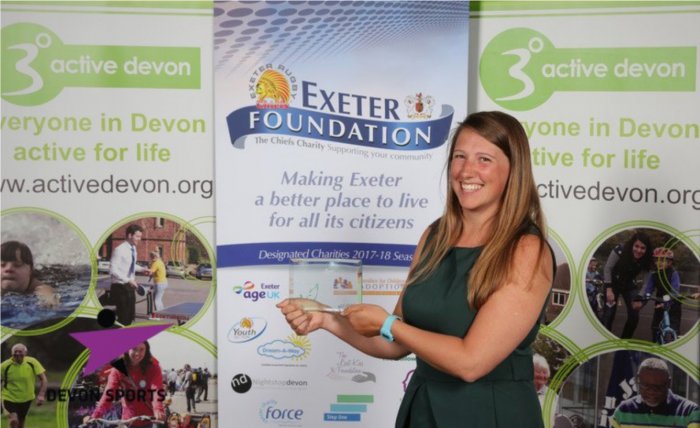 The organisers of the awards night, Active Devon, The Exeter Foundation and Exeter College use the awards to ensure people from all sports, at all levels, seize the opportunity to celebrate their clubs, coaches, volunteers and sports star. Now in their 21st year the club celebrates the best of community sport across Devon. Congratulations to our regional co-ordinators in Devon; Ian Bennet, Helen Blackman and Katie Smith as well as our team of extraordinary volunteers who make delivery of the projects possible across the region, this award is a testament to your dedication and hard work! Congratulations.